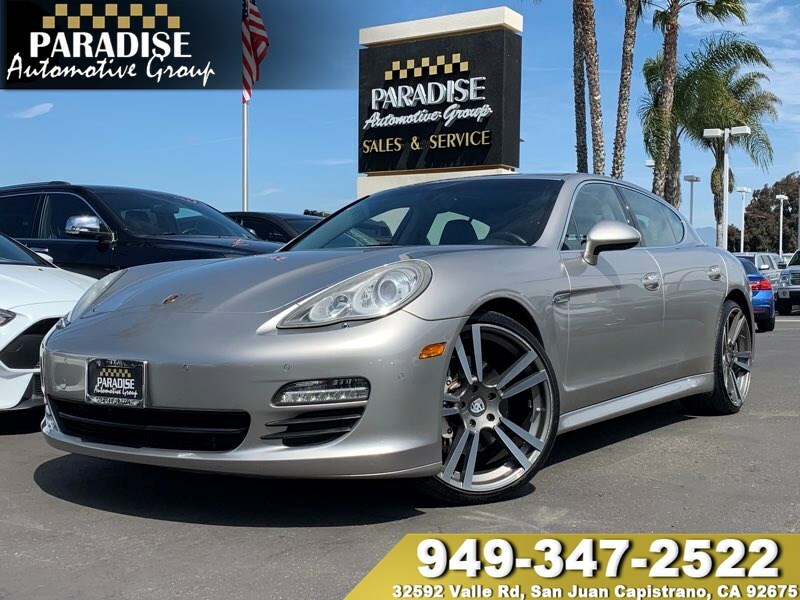 Meet our 2010 Porsche Panamera S Sedan as it takes center stage displayed in GT Silver Metallic. This Sedan puts other sports cars to shame, proving that practicality and luxury can also be exhilarating! Powered by a 4.8 Liter V8 that unleashes an energetic 400hp on demand while teamed with a paddle-shifted 7 Speed Automatic transmission. The masterfully crafted cabin greets you with plush leather heated power-adjustable seats, a cooled glovebox, and dual-zone automatic climate control. Everyone will enjoy ample legroom, cargo space and the stellar view from the sunroof as you use the Navigation, and a concert-quality Bose sound system.